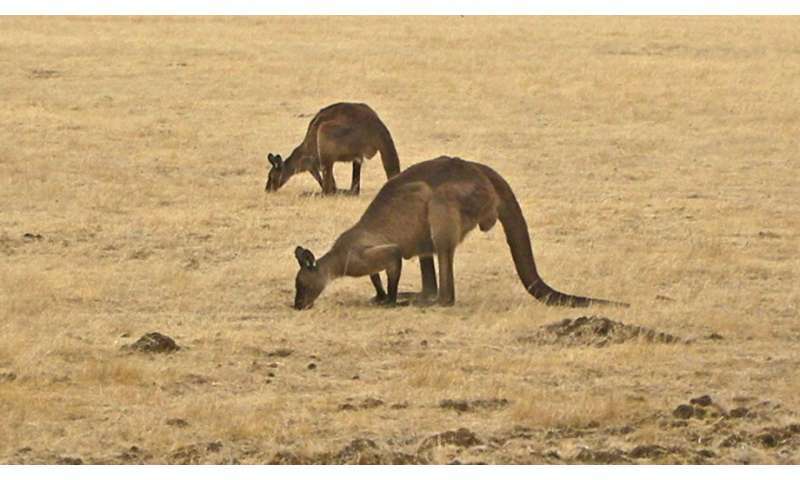 "Landholders should take on this professional role and see kangaroos as assets, not pests," said Professor Wilson from the Fenner School of Environment and Society. "It could even lead to fewer methane-producing livestock and more kangaroos producing low-emission meat. Higher value kangaroos would enhance sustainability and bring other benefits to both Indigenous and other landholders on whose properties they occur." Professor Wilson said non-commercial culling was increasing because landholders sought to stop kangaroos from competing with their conventional livestock. "This form of killing leads to poor animal welfare outcomes and considerable wastage," he said. Professor Wilson said governments set harvesting quotas as a proportion of existing populations. "An alternative would be to set population targets based on total grazing pressure that takes account of densities of other herbivores," he said. "It would reverse the situation where landholders are expected to carry an unstated number of animals that has no relationship to the carrying capacity of their properties, seasonal conditions or competing land uses."